Craig’s latest release, “Plum Creek Farmer” delivers a soulful ride through 12 of his most memorable tunes. Featured on this recording are the beautiful harmonies of Craig and Patty, along with Craig’s unique flat-picking guitar style. 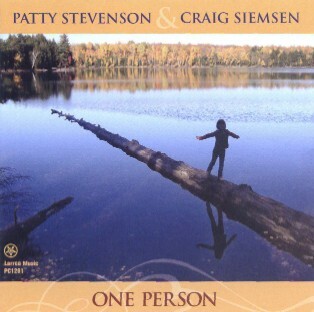 Craig Siemsen & Patty Stevenson together at last on CD!! Their first duo CD together features originals as well as some of their favorites by other songwriters including Larry Penn, Kate Wolf, Sara Carter, Reilly and Maloney and Brett Kemnitz.